Since childhood, I’ve dreamed of piloting a helicopter. I imagined hovering over distant lands to assist in medical transport, exploring snow capped mountains and uncharted territory, and discovering new adventures from a bird’s-eye view. Ok, time to wake up, right? Not exactly. 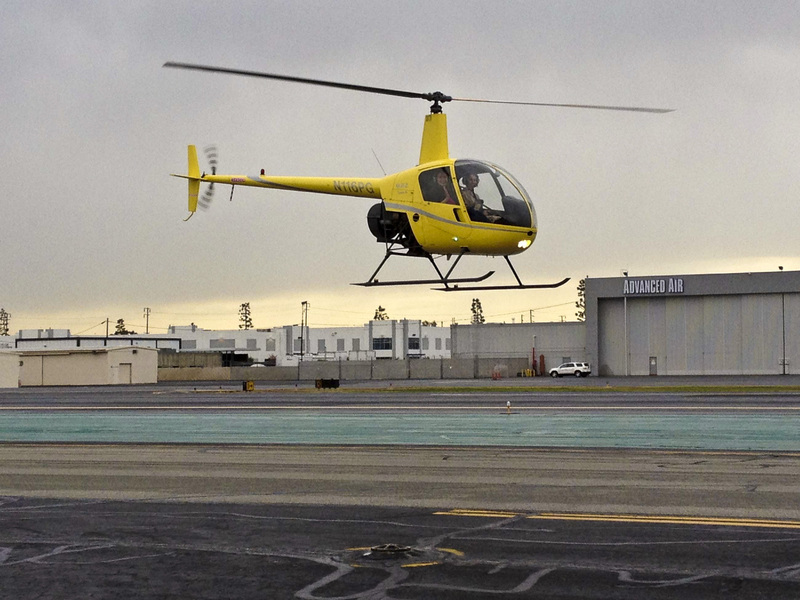 Star Helicopters, in Hawthorne, CA offers a wide range of training options and aircrafts to suit any student’s needs. Their unique Intro Flight provides you with the truly amazing opportunity to experience firsthand the remarkable capabilities of helicopters. 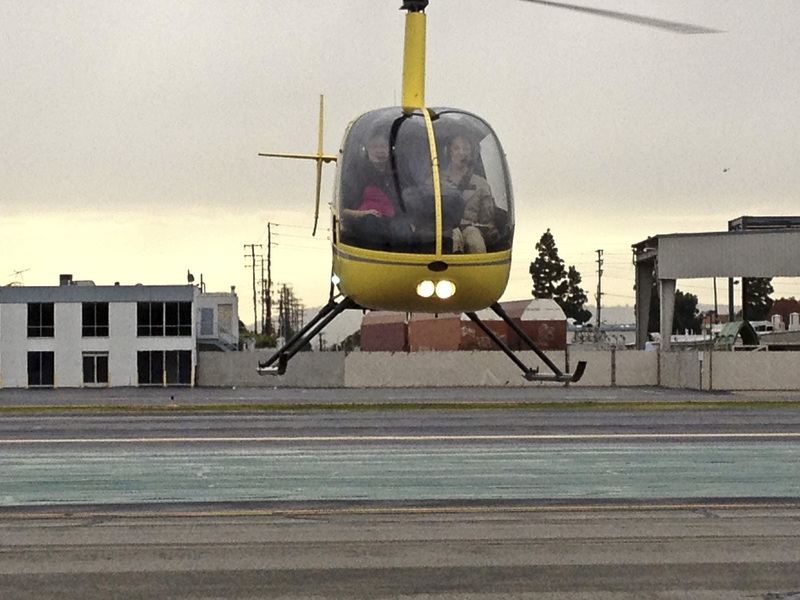 On Saturday, December 17th, I became part of the sky by piloting my first helicopter flight. As I walked into the waiting area, I felt a lump in my throat; I was living my dreams! Inside the office, there were two pilots, the owner, and a receptionist (the Director of Operations). Each employee welcomed Darren and I to a friendly, relaxed environment. The Director of Operations, Jeannette Reed, noticed my pregnant belly and showed an instant interest in me and my life. 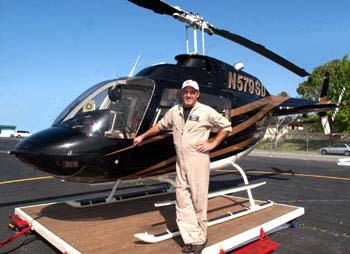 The Co-Founder and Managing Partner of Star Helicopters, Keith Harter, offered us a comfortable seat and directed us to the paper-work required for our flights. They were so welcoming and receptive that I felt like I was chatting with family. 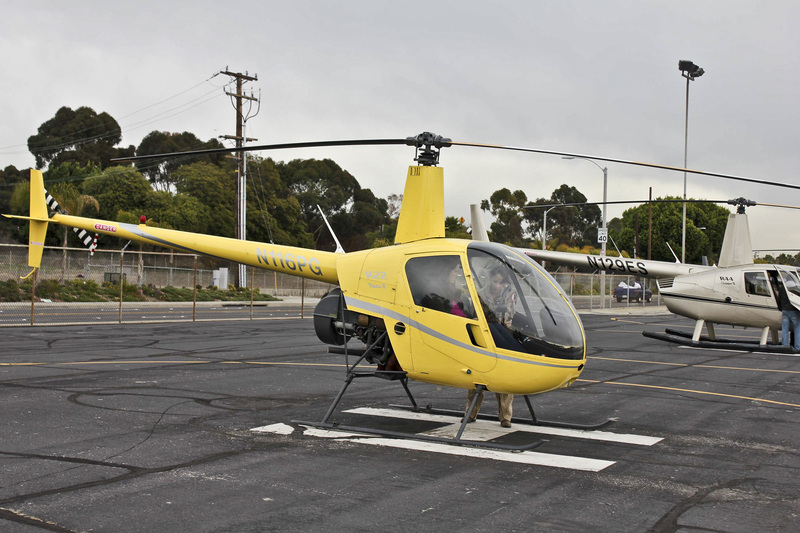 My Intro Flight was flown using the Robinson R22 – Beta II and included 30 minutes of ground instruction, 30 minutes of flight instruction, and SFAR 73 endorsement – R22. 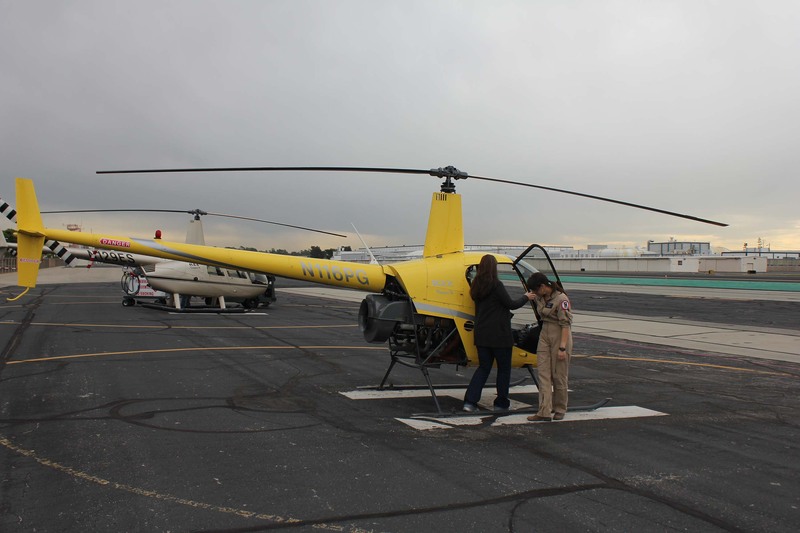 Star Helicopter’s flight training centers around one-on-one instruction with the emphasis on the student’s needs and time. My instructor, Monica Reich, approached me with a smile and ease that encouraged my enthusiasm. I was about to embark on the most exciting, fulfilling hour of my life. The 30 minutes of ground school was conducted at the helicopter. 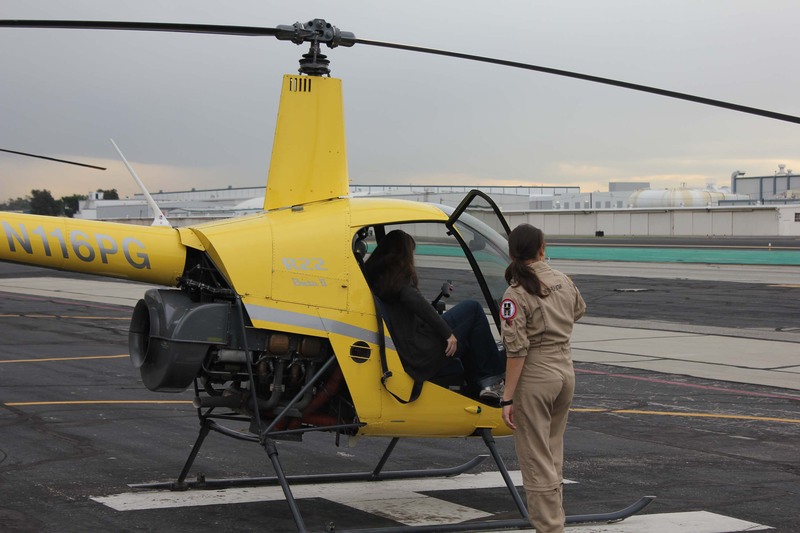 Monica explained how the helicopter flies, what each control does, how to read the gauges, what to look for in conducting the pre-flight inspection, and how to make sure the helicopter is safe to fly. I received an SFAR 73 Endorsement, which allowed me to control and fly the helicopter during my flight. Monica’s demeanor and instructions instilled a confidence in me that I didn’t know existed. I felt prepared to take control and experience a new form of flying. After ground instruction was complete, we took to the air on a 30 minute flight lesson. I felt the blades lift us gentle up into the air and glide smoothly over the city. I took the controls, with the help of my flight instructor, to see what it is like to pilot the helicopter. The flight was conducted at Hawthorne Airport and over the local coast line. I got the chance to experience most flight conditions, including straight and level flight, climbs, turns, and descents, but the most memorable experience was hovering. I gained a new respect for a helicopter pilot’s abilities when I tried to hover over the landing strip. What Monica made appear graceful, controlled, and easy was actually one of the most difficult challenges of being a pilot. My husband described his pilot as a Jedi with powers beyond belief. Although I may not have compared a pilot to a Jedi, my understanding of their abilities was similar. I may have had little skill when it came to hovering, but I wanted the lesson to last a lifetime. Never before in my experience with flying did I feel so responsible for the actual flight. I’ve lived an adventurous life in the sky to this point. After sky-diving, bungee jumping, paragliding, base-jumping, airplane flying, para-sailing, cliff jumping, and sky-jumping, I thought my limits had been maxed and my dreams of soaring through the sky had been met, but piloting a helicopter was the most memorable flying experience yet. The joys of soaring like an eagle through the endless skies are within my reach so live your dreams because anything is possible. This entry was posted in Adrenaline, Adventure, Air Adventure, Bucket List, California, Flight, In the Air, Travel, Uncategorized, USA, vacation and tagged Adrenaline, adventure, culture, Flying, Helicopter, life, photo, photography, Pilot, travel, USA, vacation by lesleycarter. Bookmark the permalink. How very cool and wonderful!!!!!! So… I’m a flight attendant. Basically, they say that when those blades stop spinning, the helicopter is going down. They feel comfort in an airplane, because if there were to be engine failure, the wings would at least allow the plane to glide for a while. My question is– did your instructor talk about this at all with you? If there were any sort of emergency and the blades just stop, what happens then?? 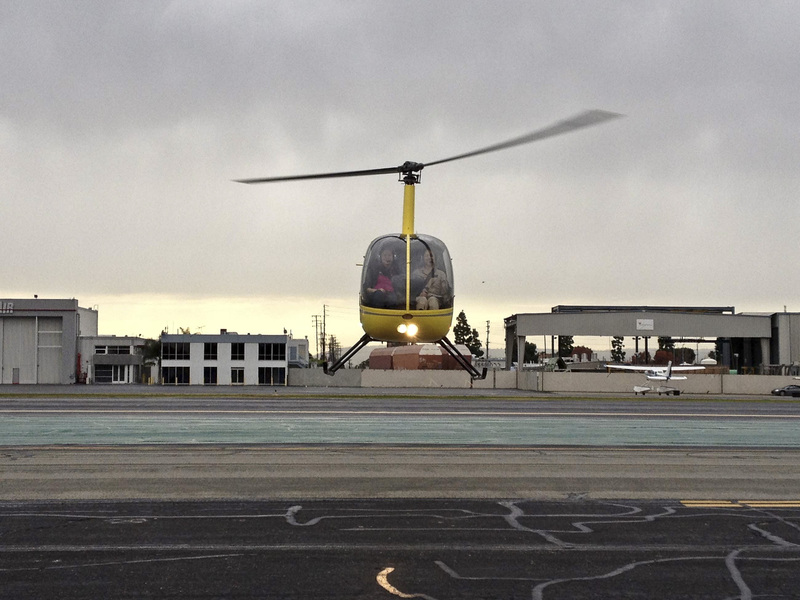 I’m not afraid of helicopters at all– I’ve had some amazing tours over the years. But I think those airlines pilots at work are a little… scared. LOL. Sounds like this was truly a dream come true for you! What an amazing experience. What an adventure and a half! You are far braver than I, and I truly admire your guts and determination to meet all of life’s risks and wonders head on! Thanks for stopping by my little blog – I really appreciate it. I’ll be sure to check in and see what trek you take on next! SO awesome! Helicopters are my favorite aircraft, I would love to try it. How great is that? I’m fascinated by helecopters. Don’t know why. Though I do like to fly, I don’t like heights much. Such a strange dichotomy. Way to go, Lesley! All this while pregnant– impressive! Hi Lesley — Thanks for the Like. You are amazing! I just had lunch with my supper club gal pals today and two of them are extensive travelers through whom I live vicariously. Love the wedding pic and all the other beautiful photos. Yet another great addition to your exciting adventures! Way to go Lesley!! I am so jealous of all your adventures! I just read this post to my boyfriend because he also has dreams to fly!! I’m so excited for you!! This sounds awesome! Can’t wait to see you embark on the 2012 bucket list! I’ve always loved helicopters, since childhood! 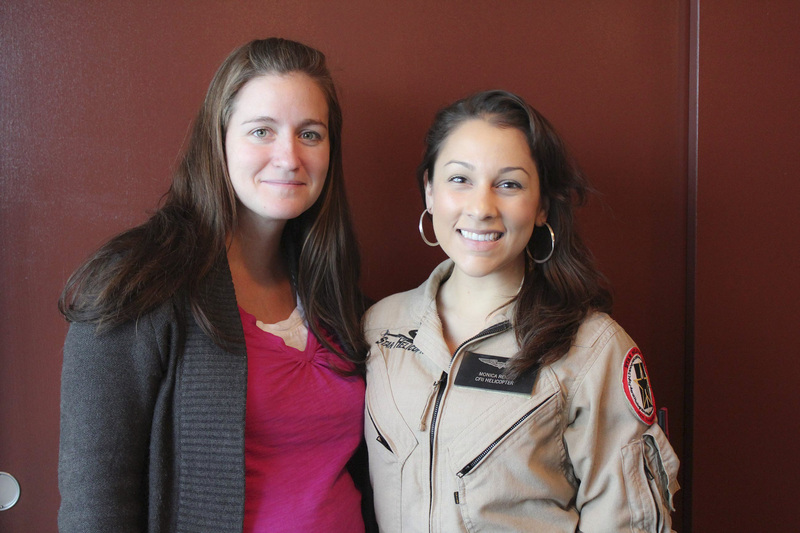 Congratulations to the beautifully pregnant helicopter pilot–likely to go down history for that. You are incredible inspiration, Les! Wow! This is indeed very awesome! I really admire you! That is awesome!! I need to get my husband up in the sky for our anniversary. That is so awesome, what a fantastic experience!!! Wow, this is incredible. You have a life worth emulating. This is just epic! Really! I envy you right now! No, not really, because you seem like the person who deserves to do such wonderful things. Good to read you enjoyed it, but also felt responsible for what you were doing. Funny that you mention Tom Waits; he is one of my favorite artists. His unique voice and style would stand out under any circumstances. I loved reading about your experience with Monica!!! She was kind enough to forward this for me to read. You flew with the best !!! She was amazing and made the experience even more personal and special. Flipping amazing! I too, flew in Robinson R22 last year and the experience was surreal. My pilot was very “hands off” during my flight and allowed me to even stall the helicopter! All I can say is WOW and I cannot wait to do it again! You’re fearless! I bet your little one will like to stay in and play chess. 🙂 Okay, maybe that’s not so likely. Thanks for the inspiration to keep pushing my limits! Wow, your life experiences are truly remarkable. I’m having an “Along Came Polly” flashback now (the guy who needs to get life insurance, though he’s an adrenaline junkie). So neat! Good for you!! I have flown in a helicopter, but never piloted one. You are one better than me in that adventure department. Thanks for checking out my blog. I too love to go to new places and take on new adventures. What an emotional and adrenaline rush! Thanks for sharing your adventures! Merry Christmas! i just nominated you for the Kreativ blogger award. congratulations! What your supposed to do with it & all that is on my blog. congratulations again! i love coming on your blog, & you are living the life i wish i could. Thank you for sharing all your experiences on here so i can sorta live vicariously through this ;). haha, you really deserve this award. And I can only fly my imagination high in the sky, may be a kite sometimes. You are a highly spirited girl to take on adventures. High on spirit and I start to get a feeling that I am flying even sitting on a couch. 🙂 You must be an amazing person. Your blog seems to be very popular!! I forgot to tell you that you have just received a Versatile Blogger Award! 😀 Congratulations!!!!!! This is my favorite post of today. I love reading about adventures. Thanks. What an experience! And what a safe way for me to experience flying a helicopter without losing my cookies! Enjoying your fun experiences and the best is yet to come! Blessings on the upcoming BIGGEST adventure of your life: Motherhood!!! Get ready, it’s a ride and a half!! Hi! Thanks for liking my post! I see you’ve been busy…Fantastic! What a thrill…and with your pregnant belly, too! Good for you!